These salmon steaks are fresh, simple and packed with flavour. 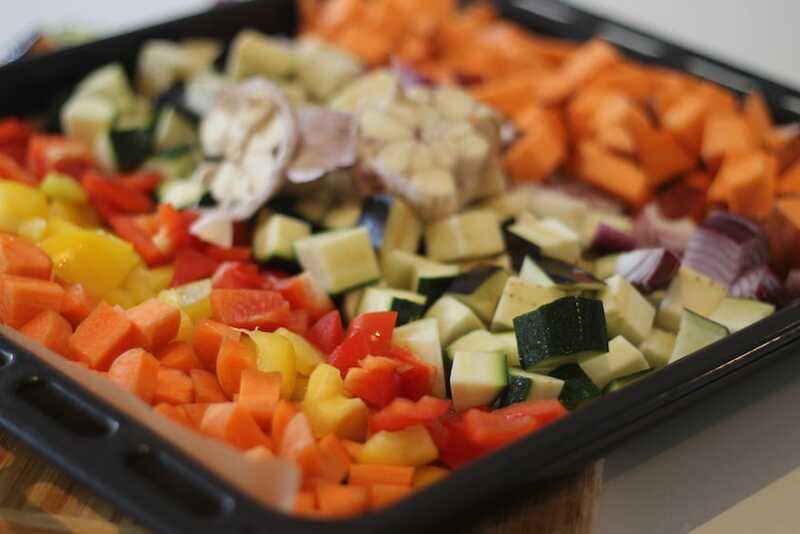 This is a perfect meal to whip up during the manic mid week rush and will be enjoyed by all. My two boys who are 4 and 1 years old love it. 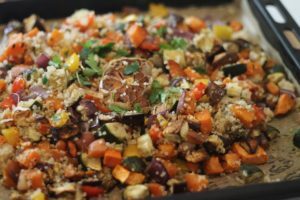 Serve with an avocado mixed green salad or for something a bit more filling my roasted vegetable quinoa salad. I make a double batch of the quinoa salad and use it for leftovers during the week for lunch served with a fried egg. ‘ so good. 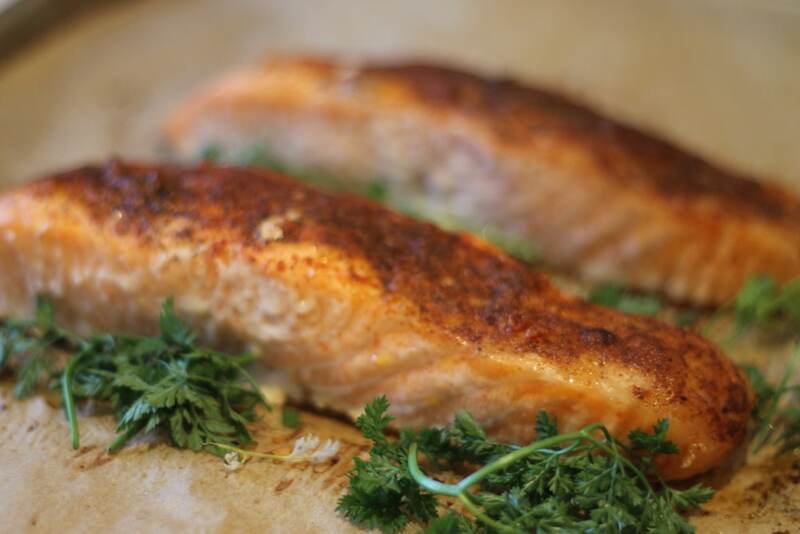 Share the post "Baked Paprika Salmon"
Preheat oven to 200C while you prepare your salmon. 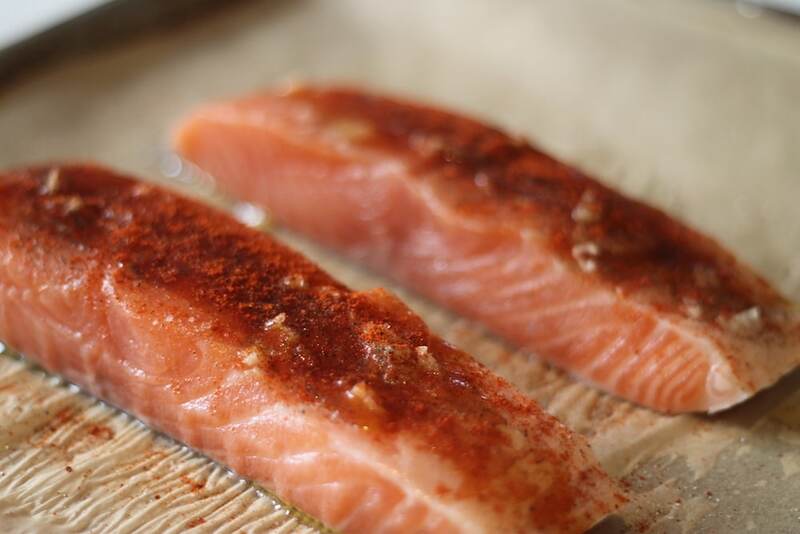 Prepare the salmon fillets by placing them on a baking tray and topping them with minced garlic, ground paprika, seasoning and olive oil. Using your hands coat the mixture evenly over the salmon and pop in the oven for 10 -12 minutes until cooked through. Serve with an avocado green mixed salad or my roasted vegetable quinoa salad.